Part of the mystery with an iconic photograph, especially a candid street photo, is wondering what happened before or after. I was able to track down a few of Winogrand’s more well-known shots, and I stumbled across others, while (carefully) plowing through contact sheets in his archives last week. I’ve already taken a look at the “chimp” photo here on 2point8, so it’s as good a place to start as any. If you visit the archives, it’s on sheet 5916. 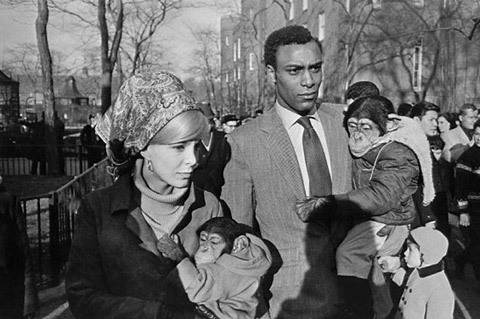 Winogrand wrote “London Chimp” on the back of the sheet, which gave me a quick pause, until I realized that the earlier images in the roll were taken in London. The last 5 frames of the roll contain the Central Park chimp sequence. 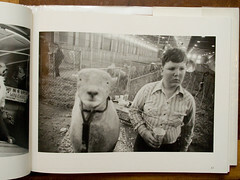 By and large, with the popular shots, Winogrand either nailed it right at the beginning, or right at the end. Sometimes he took one shot, sometimes up to eight or ten of a particular subject. But he seemed to have this uncanny knack for knowing when he’d captured it. If the good shot was the first frame, who can blame him for sticking around and taking a few more, to be sure? When he was thoroughly working a subject (there are sequences in which the first frames are of a subject that’s far off, and he gets closer and closer, firing off frames as he goes), he tended to get the shot he was looking for, and then boom, he’s off to whatever’s next. While the sequence answers some questions, it asks a few more. Did Winogrand head straight to Central Park from the airport? How long was the gap between the trip and the chimp couple ? Because it’s the first shot after images taken in England, it’s as if he’d gotten word that something was happening in the Park (animal adoption day? search me) and he rushed over there for the express reason of taking that one picture. It feels purposed, that way. Willed. Contact sheets have a weird way of compressing time to make things look like they happened in quick succession when a long time may have elapsed. There’s no exif data – no way of knowing. Ultimately it doesn’t much matter when/how/where/why he took it — he just did, and it’s there, and there are four frames that follow that aren’t nearly as good, for various reasons, but they’re interesting to look at because they document a living, breathing situation that existed on a certain day in 1966 (I think) in New York City. And one of the frames does much more than document: it amazes. Another sequence I stumbled across was for a picture from the Fat Stock and Rodeo project. If you make it to Tucson, it’s on sheet 10753, from 1974. There are nine shots in the sequence, and Winogrand gets it right on the last frame. He approaches three people (the boy, another boy, and a man) from the side, and takes a frame or two as he gets closer. Once in front of them, he swings around; the other boy and the man are suddenly out of the frame, and he takes the shot. Now the preachy part. It bears repeating that in street(ish) photography, you never know exactly what’s going to happen. In approaching any situation, anything (and everything) might occur and you may or may not be on top of your game enough to be ready for it. Above, I’m making it sound like Winogrand saw (in advance) exactly what he wanted, went for it, and made it happen. Simply, I don’t know what he or any other photographer thinks while shooting. I only know from my own experience that you can want something, even if you don’t know what that something is — it can be a vague sense that something’s going to happen and you might want to be there to see what that something might be. I don’t want to turn this into a digression on intuition, but you get the picture. Put out your feelers. Listen for the small things. Trust your curiosity. Pursue an interest, however vague it might be. If you’re the kind of person who shrinks from challenge, don’t give yourself an easy out. Stay in the game. Hold your ground. Repeat a cliche. Stand up for yourself — it does the body good. 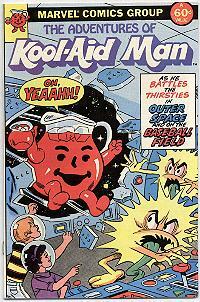 I viewed it at the Museum of TV and Radio in NY a few years ago. Maybe they have it in LA as well. Excellent link and spell check. I bet parts of that video worked their way into this film too, as I mentioned back here. It’s curious to note that there’s lots of misinformation about the image. Descriptions invariably say the pair was a couple. I recall an interview in which Winogrand said he didn’t think they were a couple. Also many descriptions claim the pair was walking down 5th Avenue or alternately Park Avenue which any New Yorker can tell you is obviously not the case. Both those links and more are also on the Resources page.